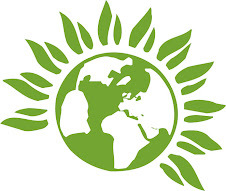 Haringey Green Party Blog: Is the environmental crisis caused by the 7 billion or the 1%? In 1968, Paul Ehrlich's bestseller The Population Bomb declared that as a result of overpopulation, "the battle to feed humanity is over," and the 1970s would be a time of global famines and ever-rising death rates. His predictions were all wrong, but four decades later his successors still use Ehrlich's phrase -- too many people! 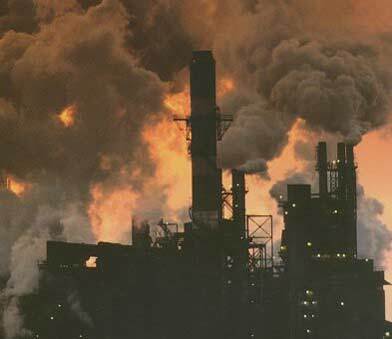 -- to explain environmental problems. Even in the rich countries of the Global North, most environmental destruction is caused not by individuals or households, but by mines, factories, and power plants run by corporations that care more about profit than about humanity's survival. Lower birth rates won't shut down Canada's tar sands, which Bill McKibben has justly called one of the most staggering crimes the world has ever seen. Universal access to birth control should be a fundamental human right -- but it would not have prevented Shell's massive destruction of ecosystems in the Niger River delta, or the immeasurable damage that Chevron has caused to rainforests in Ecuador. A recent report prepared by the British consulting firm Trucost for the United Nations found that just 3,000 corporations cause $2.15 trillion in environmental damage every year. Outrageous as that figure is -- only six countries have a GDP greater than $2.15 trillion -- it substantially understates the damage, because it excludes costs that would result from "potential high impact events such as fishery or ecosystem collapse," and "external costs caused by product use and disposal, as well as companies' use of other natural resources and release of further pollutants through their operations and suppliers." So in the case of oil companies, the figure covers "normal operations," but not deaths and destruction caused by global warming, not damage caused by worldwide use of its products, and not the multi-billions of dollars in costs to clean up oil spills. The real damage those companies alone do is much greater than $2.15 trillion, every single year. The 1% also control the governments that supposedly regulate those destructive corporations. The millionaires include 46 per cent of members of the U.S. House of Representatives, 54 out of 100 senators, and every president since Eisenhower. Through the government, the 1% control the U.S. military, the largest user of petroleum in the world, and thus one of the largest emitters of greenhouse gases. Military operations produce more hazardous waste than the five largest chemical companies combined. More than 10 per cent of all Superfund hazardous waste sites in the United States are on military bases. If the birth rate in Iraq or Afghanistan falls to zero, the U.S. military will not use one less gallon of oil. If every African country adopts a one-child policy, energy companies in the U.S., China, and elsewhere will continue burning coal, bringing us ever closer to climate catastrophe. Critics of the too many people argument are often accused of believing that there are no limits to growth. In our case, that simply isn't true. What we do say is that in an ecologically rational and socially just world, where large families aren't an economic necessity for hundreds of millions of people, population will stabilize. In Betsy Hartmann's words, "The best population policy is to concentrate on improving human welfare in all its many facets. Take care of the population and population growth will go down." The world's multiple environmental crises demand rapid and decisive action, but we can't act effectively unless we understand why they are happening. If we misdiagnose the illness, at best we will waste precious time on ineffective cures; at worst, we will make the crises worse. The too many people argument directs the attention and efforts of sincere activists to programs that will not have any substantial effect. At the same time, it weakens efforts to build an effective global movement against ecological destruction: It divides our forces, by blaming the principal victims of the crisis for problems they did not cause. Above all, it ignores the massively destructive role of an irrational economic and social system that has gross waste and devastation built into its DNA. The capitalist system and the power of the 1%, not population size, are the root causes of today's ecological crisis. Ian Angus is co author of Too Many People? Simon Butler is co author of Too Many People?